As I sit and write this, the title speaks for itself. I feel a rattling in the spirit realm. It is like to mighty sabers clashing together in violent war. Both soldiers locked into a fierce battle for "their side".... one knowing they are already defeated, but unwilling to go down without a horrendous fight. As prayer warriors, each of us have a unique and powerful "sword" to swing into this battle. It seems that daily, there are more reports of evil, falling or wounded soldiers, and distractions designed to "sway away" the faithful. As you read the following, please keep in mind this information, even as limited as it is, must remain solely within the Inner Circle.... thank you. Secondly, Some very critical information regarding SAARC delegates (contact names, addresses, emails, phone numbers) was lost at an airport in a very "unfavorable" country. The authorities may have seized the information or happened upon it. Whatever the case the information, if found by these authorities could have profound security implications for SAARC delegates and Global Advance. Lisa and I began to pray yesterday that the information would simply, yet clearly "supernaturally disappear" from written form, electronic form, and even the minds of those that may have read it. Our prayer is that any and all traces of this information cease to exist outside any area that is not conducive to the ministry! Finally, our team in India has been wracked with "unexplained" illness. Connie actually passed out while presenting yesterday. She recovered and continued to preach. The enemy WILL NOT have a place in any and all GA activities anywhere in the world. We demand all attacks cease in the Name of Yeshua and release protection from On-High to all! Thank you all so much for walking, praying, living out this effort alongside Lisa and I and all of Global Advance. You are LOVED! As I sit here this morning, looking out the window at the rain.... my ears turn to the sound of the song on Pandora..... Halleluia, our God Reigns. Because He Reigns, the "rain in our lives" is made into SonShine! Let us all join together, entering into His Gates with thanksgiving and His Courts with Praise.... OUR GOD REIGNS!!!! Please join us as we lift up these prayers, knowing that our Father in Heaven hears and moves upon them. Days with David is this Saturday and Sunday. There were a couple of people drop out over the weekend, so let us pray for those that God is calling will not be distracted or disrupted from attending. That David's heart is poured out with specific words for each one as they have need. Thursday is the GA Board of Directors meeting. Pray for all preparations to be eased into finalization and for wisdom and unity to prevail. Ken leaves Friday to Rwanda. He has a super busy schedule including Marketplace, NextGen; Church leaders; mentoring: meeting with Prime Minister of Rwanda (he is also President of Rwanda Christian University) Please pray for health, stamina, and Holy Spirit words and vision for Ken and each person attending. Global Advance staff is recouping and rejoicing coming off a great week with the Dinner and Ambassador's Day. We as the IC should be praying for their energy levels and focus to remain strong as the year and approaches. There is no "down time" for this faithful team at GA. As you may be aware there have been numerous physical "issues" for many team members and their families. We know that these are intended to distract and weigh heavy upon them. We stand in the gap to push back the dark forces attacking and provide a spiritual "shield" around them. Let us as the IC stand guard over them in prayer.... we are their first line of defense (going to the Lord) in this battle. Quick note, no details.... Gareth broke his collar bone! Below are the list of upcoming trips. Let us pray for Ken and team as they are working on the 2018 schedule. Father, we ask in the Name of Yeshua that You lead by Your Spirit letting Ken and team know where you want them to go and what to do in 2018. Let there be no distraction or question or "wondering" whether it can be done. In Your Name we claim every conference/event right now in the Heavenlies as done and sealed with Your desire and hand upon it. We know that all resources necessary will be provided and we pray for "overflow".... even more than needed so that there would be a grand opportunity to pour into somethings that were not seen, but will come into view as the year unfolds. May Your Kingdom be expanded and Your Name be lifted high! Each year the Inner Circle has a tremendous opportunity to pray before and during the Ambassadors’ Day Event and attend the Annual Dinner. If you are available during the day (for any amount of time), we invite you to join us with the attendees, in the meeting rooms to pray. We will be providing lunch for all IC Team members. Please let us know if you will be present for lunch so we can make arrangements. This is an amazing time to be present and cover the attendees and training material they are learning. PLEASE NOTE: WE DO NEED IC TEAM MEMBERS TO RSVP ATTENDANCE TO ANY OF THE EVENTS. Thank you for committing to prayer as it says in Colossians 4:2 Devote yourselves to prayer, being watchful and thankful. Bright Lights are You All! He has, is, and WILL grant us all the things that we need! Our position is to remain steadfast and press on as we are lead by the Holy Spirit. Each of you is a blessing to soooooo many people. We adore the light within you as it shines so brightly into the darkness of the world around us. We know that the Annual Dinner is one of our biggest opportunities for partners to join us. Please pray for those that God is laying on their hearts to attend and/or become a partner. We trust in the "unseen" and walk in faith that all is unfolding according to His plans. Continued prayer for the GA team as they work all the many details on the "Dinner" and Ambassadors' Day. Continue to pray for peace and confidence in Him as Jonathan reaches out to donors for a special "year end match" as well as establishing groundwork for the Global Advance Foundation. Two great ministry opportunities are on the horizon in early September. I’ll be very grateful for your prayers. Naomi and I, along with Ken and a pastor-couple from Washington DC, will be equipping Romanian pastors and their wives at a retreat on the Black Sea. Most of these pastors are bi-vocational and have a meager income. Please pray that the Lord will lift these precious couples in a special way. The very fact that Global Advance is able to bring these pastoral couples away for a few days of refreshing is a great gift to them. Few of them would be able to come to a retreat center like this on their own, so this is a special blessing. We’re working with The Bible League of Romania and pastors will come from Brethren, Baptist, and Pentecostal backgrounds. Pastor Paul Golden at Life Christian Center in Alvin, Texas, has asked me to come and minister to his church Sunday morning, September 16, and to a joint meeting with several Alvin churches / pastors Sunday night. Alvin was hit hard with flooding from Harvey. He told me he knew the pastors would be grateful for someone from the outside coming to bring encouragement. Also, Pastor Paul believes there will be a great harvest of souls because of the practical help the churches will be bringing to so many. Please pray with me to that end. 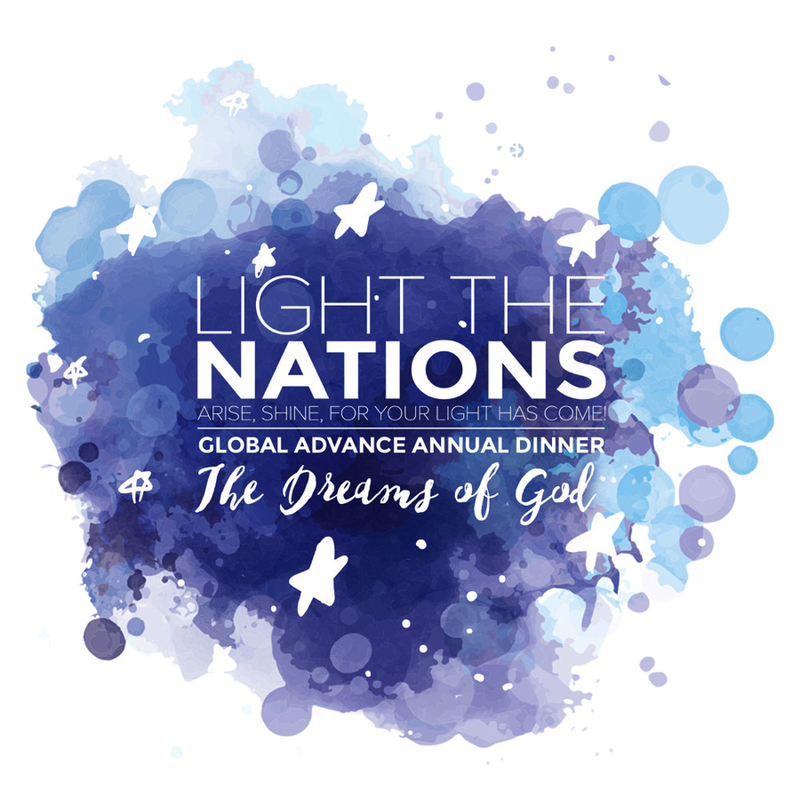 As all our team knows, September is an extremely busy month as we prepare for Global Advance’s Light the Nations Dinner, October 6. Worldwide Global Advance will equip thousands of leaders to fulfill the Great Commission in training events in Kenya, Chile, Romania, Myanmar, the Dominican Republic, Colombia, and Peru. We will also meet crisis needs of persecuted believers in highly volatile areas through Alpha Relief. All of this happens by God’s grace and the faithfulness of His people. Please pray for Jonathan and all of us as we represent Christ’s kingdom through the outreaches of Global Advance. Let’s ask and believe for an abundant spiritual and financial supply. Thanks so much for your prayers. Matthew 7:24-25 24 “Everyone then who hears these words of mine and does them will be like a wise man who built his house on the rock. 25 And the rain fell, and the floods came, and the winds blew and beat on that house, but it did not fall, because it had been founded on the rock. This past week and continuing for a long time we see the effects of Hurricane Harvey. We see on a gigantic scale, the devastation of both physical structures as well as human beings. Many will ask "why"..... why did this happen, why to me and not others, WHY?! Our honest answer is I don't know why, but I do know this...... my Rock will never crumble, He is the Alpha and Omega..... He is Who I place my trust in at all times, especially when I want to cry out WHY! Let join together in prayer for the masses who are affected by this tragedy, praying that those "not yet built upon the Rock" will choose to do so with haste. Continued prayer for the GA team as they work diligently on the "Dinner" and Ambassadors' Day. We know that God is our ALL Provider.... Provider for ALL. Pray for peace and confidence in Him as Jonathan reaches out to donors for a special "year end match" as well as establishing groundwork for the Global Advance Foundation. Covering, Healer.....Worthy to be Praised! As we were thinking about this week’s update, “covering, healing, praise” came to mind. He is the Lord and worthy of all of our praises, in every circumstance. The staff at Global Advance, many of our supporters, and even right here in our IC have been afflicted with infirmity after infirmity. We KNOW our God is Healer, He is our Covering, and we will continue to praise Him in all things. As you read the selection of Scriptures from Psalms 147, please apply them to your prayers for Global Advance and for yourselves. We trust as you read, ponder, and pray that the Holy Spirit will bring to your remembrance very specific things to pray for. When this happens please share it with us on GroupMe. Write the Scripture and the revelation so we can join you in the celebration of Him revealing His Truth and Power. 1 Praise the Lord! For it is good to sing praises to our God; for it is pleasant, and a song of praise is fitting. 3 He heals the brokenhearted and binds up their wounds. 5 Great is our Lord, and abundant in power; His understanding is beyond measure. 8 He covers the heavens with clouds; He prepares rain for the earth; He makes grass grow on the hills. 10 His delight is not in the strength of the horse, nor His pleasure in the legs of a man, 11 but the Lord takes pleasure in those who fear Him, in those who hope in His steadfast love. 12 Praise the Lord, O Jerusalem! Praise your God, O Zion! 13 For He strengthens the bars of your gates; He blesses your children within you.14 He makes peace in your borders; He fills you with the finest of the wheat.15 He sends out His command to the earth; His word runs swiftly. 2 Chronicles 2:5-6 The house that I am to build will be great, for our God is greater than all gods. 6 But who is able to build him a house, since heaven, even highest heaven, cannot contain him? Who am I to build a house for him, except as a place to make offerings before him? Our God IS greater than any other. He is the only true God and worthy of all of our praises. We are so very blessed that there is no house, church or building that can contain Him, yet He chooses to establish His Temple within us! Let us proclaim the Name of the Lord and relish the fact that He chooses us to be His workmanship into this world. As Global Advance, advances the Gospel, trains ministers, raises up Modern Day Esters, and brings rescue and relief to the persecuted church..... let us continue to dig in and push back the darkness, pray for favor, open doors and open hearts around the world. Prayer for Persecuted and Persecutors! 44 But I say to you, Love your enemies and pray for those who persecute you. We must, as intercessors for Global Advance take our prayers to a new level. As we have seen through info from Alpha Relief, and in these emails from Oliver, persecution is taking on deeper, more often, and more insidious actions. Feel free to post your prayers on GroupMe but please don't use names or specific locations. The email traffic below is between Ken and Oliver Zia in Pakistan. Ken forwarded this to me this morning so that I could share with you all. PLEASE DO NOT FORWARD, POST TO OTHER PRAYER SITES, DISCUSS OUTSIDE THE CONFINES OF THE IC AND IMMEDIATE GLOBAL ADVANCE STAFF..... STRICTLY CONFIDENTIAL. Thank you so much for keeping my family and I in your prayers in this time of need. I went to Lahore to deliver a lecture on minority rights in Ambassador Hotel on 22nd July. THE WEATHER in Lahore was not good as well. I have been followed by the unknowns. Then my fellows suggested me to remain inside, I wanted to see Pastor Daniel Raffique, and give a copy of Church Planting Manuel but then decided to hand over the copy to one of his branch Church members to deliver to him for the fourth coming Seminar in Rawalpindi in August. Thanks Lord for His Divine protection up till now. I believe the same in the future. Bro not I but the leadership in Quetta along with the youth needs your fervent prayers. Another bad news the car of one of our church Pastors has been burnt completely by some unknown people while it was parked outside of the home. please pray for that family. Glory to God for His Eternal Kingdom! Daniel 4:3 How great are his signs, how mighty his wonders! His kingdom is an everlasting kingdom, and his dominion endures from generation to generation. Blessings in the Name of our Lord Yeshua! We are children of an everlasting Kingdom, let us celebrate the Loving Nature of our God! Annual Dinner Light the Nations – “Dreams of God”, Thursday October 5th. Father we ask for Your Comfort, The Comforter in the Holy Spirit to stand fast with these who have had loved ones pass into Your care. Pray for the Abujade family – long time partners; daughter passed away. Dr. Shibley’s heart is heavy preparing for the Aboujaoude daughter’s funeral. Prayers for India – Pastor friend was shot/killed last week. He has one of the largest churches in the area (Ludhiana). Dr. Shibley – Lake Shore Church is helping with an update for his book “Now that you are His”. Pray for connection and resources to complete this work. Prayer for our database . . . Amy, Whitney, Benj and Vivek are working on much needed clean up. Whitney shared that her “Esther” in Peru (attended as translator for recent Ester Initiative event) is under heavy persecution in the Mountains of Peru. As we have been praying, interceding, doing what many call battle in the heavenlies..... let us take heart, not grow weary or wonder where the source of our strength comes from. These seemingly unrelenting attacks are clear evidence that the places that God has established Global Advance to enter in to are areas of the greatest need. Not just immediate need, but long term Kingdom advancement. In the midst of ongoing conflict we also need to remember that we have a place of rest and reassurance. We can rest in Him, our Mighty Fortress! All of Psalms 46 (one of our favorite Psalms by the way!) is a testament to His protection and covering of us. Let us walk, talk, believe, and live accordingly. Here are a few of our favorite 46's to share this week. God is our refuge and strength, a very present help in trouble. 6 The nations rage, the kingdoms totter; he utters his voice, the earth melts. Pray that our friend Noshee in Pakistan would be hidden from those seeking to silence her proclamation of the gospel. You guys are so amazing to walk alongside and work with Global Advance. As you operate in the spirit through your prayers, you initiate the bringing of Heaven to earth. Every prayer uttered does not go unnoticed by our Mighty Heavenly Father! I hope that you are now in a worshipful place of prayer… In this place let us come before the throne and seek His presence and His desires. Jonathan sent this to me today…..
Pray for Benj and I tomorrow (Wednesday) and Thursday we go to Colorado. Tomorrow night (Wednesday) we have a dinner presentation with supporters. Thursday we have an important meeting with World Challenge. Friday night Dad and I have dinner with GA's largest contributor. He's been having some personal battles and it's an attack on his purpose. Pray we minister grace to him. Also pray we will have the opportunity to make an ask for his continued help. This could be a huge swing if he says yes. God is our provider! Father God, Great and Mighty, we adore You! We seek You and Your provision for Global Advance. We pray that in each of these meetings that You El Elyon will be glorified and honored. You know every need; physical, spiritual, and emotional that is on our hearts. As we beseech You, hear our prayers not for ourselves or agendas but for Your Vision, the one that is cast and anchored within Global Advance. Every need we attempt to fulfill can only be done with Your Hand firmly guiding and providing. We thank You ahead of time for what You are going to do. In the Precious and Powerful Name of our Saviour Yeshua! Additional Prayer Requests this week: Please pray for wisdom, creativity, and attention to details. Vivek and Amy are working on upcoming trips and annual dinner plans. Shirley is wrapping up from audit and working on receipting changes. Gareth is cleaning up our Database after Alpha Relief merge (coding, flags, etc.). Deuteronomy 31:8 It is the Lord who goes before you. He will be with you; he will not leave you or forsake you. Do not fear or be dismayed. He is not just with us, He goes before us. We shall not be in fear for our Lord is THE Lord, God of all creation. Heaven and earth resound His Name. We shall go where He calls! Dr. Shibley and the team is in India May 16-18. I just received this from Naomi, "Hi John, I heard from David. The India team is together in J. and they begin Tuesday (or this evening our time). All is well. Thanks for praying." Father we know that You're with our team, because they are YOUR team. We speak health, vitality, anointing, penetration of darkness, restoration of those that have fallen or are falling.... all for Your Kingdom and to Your Glory. May the very lifeblood that flows through our team's veins, the authority of Christ be evident wherever they go. May there be new openings in this region of China for the Gospel! Great and Worthy to be Praised! I will bless the LORD at all times; His praise shall continually be in my mouth. 2 My soul makes its boast in the LORD; let the humble hear and be glad. 3 Oh, magnify the LORD with me, and let us exalt his name together! As we join together to glorify His Name, we bring alms into the Holy of Holies. Our voices, even our spirits cry out for the joy of the Lord. May you be blessed as you bless those in and with Global Advance through prayers and encouragement! Father in the Name of Yeshua.... hear our prayers. Bring forth Your loving hand in each and every situation that is being faced world-wide. From Rockwall to Rwanda, we need Your Presence, Guidance, Peace. The GA Board of Directors meets tomorrow (Thursday) at 9:30 am. Please pray for wisdom, unity, and specific vision in critical areas of operations. We are planning our quarterly IC Gathering. It is set for Wednesday evening, May 31st at 6:30pm at the Global Advance office. Please RSVP you attendance, attendance by phone, or unable to attend. You can RSVP via GroupMe or text John @ 903.456.3409. When we hear the voice of the Father it brings us into that intimate closeness that every person desperately desires. A place of quiet, contentment beyond what the world understands, but we know it to be a sweet, sweet place. 2 Samuel 22:7 “In my distress I called upon the Lord; to my God I called. From his temple he heard my voice, and my cry came to his ears. Please pray for the Ministry Informational Event (MIE) this Friday in Mt. Pleasant. Several Global Advance partners and their families are experiencing “attacks” in various ways – please lift them up in prayer, ask for encouragement, steadfastness, and reassurance in THE only One that can help them endure their trials. Psalm 119:28 My soul is weary with sorrow; strengthen me according to your word. Psalm 22:19 But you O Lord, do not be far from me. You are my strength; come quickly to help me. Psalm 28:7-8 The Lord is my strength and my shield; my heart trusts in him and Hehelps me. My heart leaps for joy, and with my song I praise Him. Eph 6:10 Finally be strong in The Lord and His mighty power. Isa 40:31 But those who hope in the Lord will renew their strength. They will soar like eagles; they will run and not grow weary, they will walk and not be faint. 2 Cor 12:9-10 My grace is sufficient for you, for my power is made perfect in weakness. Habakkuk 3:19 The Sovereign Lord is my strength; Hemakes my feet like the feet of a deer, Heenables me to tread on the heights. Psalm 46:1 God is our refuge and strength; an ever-present help in trouble. Daniel 10:19 Do not be afraid, you who are highly esteemed. Peace! Be strong now; be strong. Isa 40:29 He gives strength to the weary and increased the power of the weak. Josh 1:9 Be strong and courageous. DO not be afraid; do not be discouraged, (dismayed), for the Lord your God will be with you wherever you go. One of my favorite Scriptures is found in Isaiah 43:19. "Behold, I am doing a new thing; now it springs forth, do you not perceive it? I will make a way in the wilderness and rivers in the desert. It reminds me that God is the God of "newness and freshness" and making things happen in ways we often don't perceive until it comes to fruition. It reminds me to trust Him when I'm in the wilderness or desert. He makes ways everyday that we often don't see, but by His Grace we know the peace of His presence. Spring is always a "new season" budding and growing. Let us take time as we see the physical presence of this "new season" to trust in His everlasting goodness. Pastor Khamh in Myanmar- his house has been repeatedly attacked by vandals throwing rocks and painting graffiti while he is away doing ministry. He is concerned for his family’s safety. We are trying to raise funds to buy him a security system. Please continue to be in prayer for the GA staff and family members. Healing for illnesses, strength the be revitalized, and favor in every day life. Let us continue to give praise for the successful recordings David did last week! Below is a list of upcoming trips. Let us prepare the way "in the spirit" for these to be successful Kingdom wins all along and even before they take place. Pray for prepared hearts of our Ambassadors, participants, and even the event location support team members. 1. Some cell phone providers limit a group text to 10 recipients or respondents. Our group has 15 now and may grow in the future. This requires us to send out 2 different text group messages. When a person in one group responds, the people in the other group cannot see it, read it, or respond. This new system allows real time reading and responding by all members. 2. When using the GroupMe app it does not fill up your message texts because it is a separate app. 3. Since it is a separate app, it allows us to maintain threads of conversations and refer back to them easily. 6. We will continue to use our IC website for regular postings, but will use GroupMe for real-time communications and emergency updates. Each of you has already been set up as a member of Global Advance IC Team GroupMe account. You can download the GroupMe app from the App Store, Play Store and Windows Phone Store. If you’re on a desktop, you can use the web version of GroupMe instead. After you install the app, the Global Advance IC Team should be listed as a group. Please send a message via GroupMe once you're connected. We believe this will be a simple and effective way for us to communicate to each other. Again, if you have any questions, don't hesitate to call . Hello all our fellow lovers of the Lord Jesus Christ. As we write this, there are trips about to embark this week to the far reaches of the globe. Let us join in the Heavenly realm to "fan the flame of the gift of God upon each Ambassador, Host, and participant. Lisa and I are praying that with each "touch of an Ambassador's hand" that the flame within them is passed on like a torch. Each recipient then passing on that flame wherever they go. Father may we be Your standard bearers, lighting the flame, reigniting the flame, in the hearts of those that Global Advance touches! Blessings over you all in Christ Jesus our Lord! Lisa and I want to encourage you today as beloved brothers (and sisters). We are HIS Beloved and therefore whatever trial is upon us, we have His strength to stand fast because He is holding us in His arms. I Corinthians 15:58 Therefore, my beloved brothers, be steadfast, immovable, always abounding in the work of the Lord, knowing that in the Lord your labor is not in vain. • Has confirmation for a donor match for the Spring! Great timing with the appeal that will be mailed shortly. Please pray that people’s hearts will be opened to the mission of GA and that they will join us as partners. • He has been teaching in Arkansas this week. Please pray for all safe journeys and recuperation at the conclusion. (Naomi is with him). • Is in Kansas City to teach Thursday through Sunday. • He is working on GA dinner theme in preparation for ‘Save the Date’ mail out in April. • April 9 is a large Ministry Information Event (MIE) atJoel Tiemeyer’s church (The Way Bible Church in Sulphur Springs)…. It’s the church Lisa and I go to, we’re super excited!!!! • GA and Alpha Relief database conversion happens this week! Pray! • Pray for open doors as we attempt to send funds into closed countries. We are inviting 2 new people to join the IC. Jonathan has recommended Vinny Samuel (Vivek’s wife) and Renaue Thompson. Lisa and I will be reaching out to them. Please pray that if they are to join us, that the Holy Spirit will place that call upon their hearts. THE DAY THAT CHANGED THE WORLD! ...and he died for all, that those who live might no longer live for themselves but for him who for their sake died and was raised (2 Corinthians 5:15). PHOTO BLOG: What is the 'Front Line' of the Gospel's Advance? A SLEEPING GIANT IN MISSIONS! There is a sleeping giant being awakened in the kingdom. As populations and economies are growing in South Asia, so is the level of persecution against the Church. GOD BUILDS THE CHURCH IN BANGLADESH! We believe in the full inerrancy of Scripture; in God the Father, Son and Holy Spirit; in the virgin birth, sinless life, atoning death, physical resurrection and visible, personal return of our Lord Jesus Christ; in salvation by grace through faith in the finished work of Christ; in the present ministry of the Holy Spirit expressed in His fruit, gifts and power; in New Testament evangelism, consecrated Christian living, the local church, the ministry of reconciliation and the urgency of fulfilling the Great Commission.